Khezr, Peyman and MacKenzie, Ian A. (2018). An efficient and implementable auction for environmental rights. Discussion Paper 587, School of Economics, University of Queensland. Khezr, Peyman and MacKenzie, Ian A. (2016). Permit market auctions with allowance reserves. Discussion Paper Series 553, School of Economics, University of Queensland. Khezr, Peyman and MacKenzie, Ian A. (2016). Consignment auctions. Discussion paper series 558, School of Economics, University of Queensland. 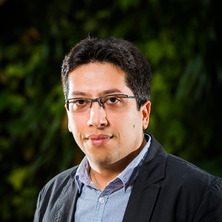 Khezr, Peyman and Sengupta, Abhjit (2014). Signalling quality with posted prices. School of Economics Discussion Paper 532, School of Economics, University of Queensland. Khezr, Peyman and Sengupta, Abhijit (2014). Asking Price Mechanism with Dynamic Arrivals. School of Economics Discussion Paper Series 524, School of Economics, University of Queensland.